Ernesto Valverde suggested Lionel Messi's mere presence created the confusion that allowed him to net Barcelona's opener against Espanyol. 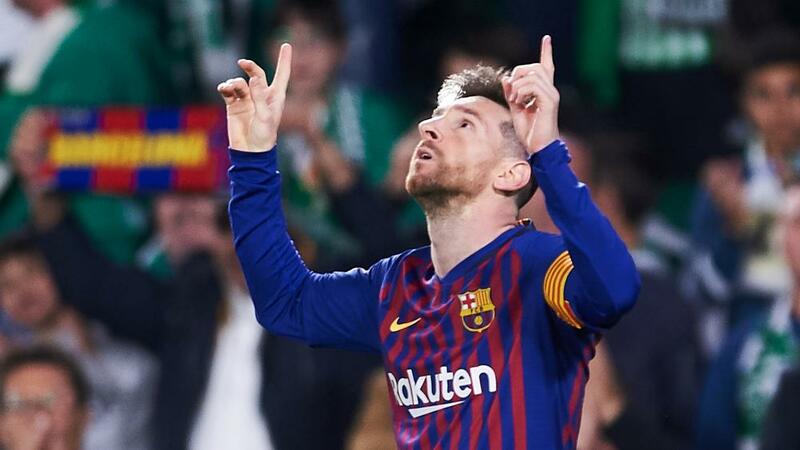 The Blaugrana were struggling to break down their Catalan rivals on Saturday until, after 71 minutes, Messi netted a 20-yard free-kick to set up a 2-0 win. Espanyol captain Victor Sanchez committed the foul on Messi that prompted the set-piece and then, in an apparent attempt to outwit the Argentina international, retreated to his goal line and inadvertently directed the ball past goalkeeper Diego Lopez. Lopez looked to have the strike covered, but Valverde believes the threat of Messi's dead-ball expertise cast doubt into the mind of Sanchez. "Messi can appear at any moment and we already know about his effectiveness from dead balls," Valverde said. "For as much as we train, we can't predict what the rivals will do [to defend him]. We don't know if they will drop someone on to the floor or drop someone back. It's something that happens in a split second. "But Messi decides [what to do] and he always gets it right. He's created confusion in rival teams – and that's very good for us." Messi also netted the second goal, sweeping in Malcom's cross in the 89th minute.